WAKISO – Opposition lynchpin Col (Rtd) Dr Kizza Besigye has said no one loved President Museveni and the ruling NRM party better than him, accusing the current crop of leaders in the ruling party of loving the head of state because of his money. Dr Besigye revealed that he used to love President Museveni during the Bush War days when he had nothing and even when he acquired power, Dr Besigye said he stuck with him and often campaigned for him until he “lost direction”. “No one can claim to love Museveni better than I do. I loved Museveni when he had nothing. And those of you claiming to love Museveni now are after selfish interests,” he said on Monday. “I am not here to hate NRM or defend FDC. I am only interested in promoting good governance,” he added. 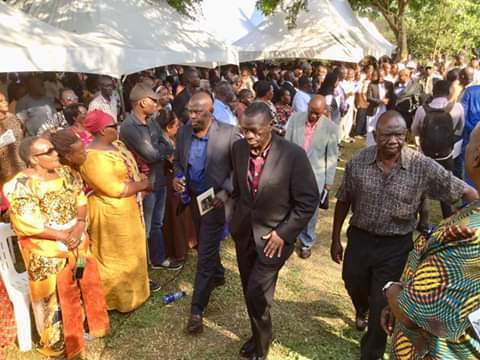 Dr Besigye made the remarks at the burial of Stella Njuba in Nangabo, Wakiso district. Stella Njuba is daughter deceased veteran politician and Besigye’s friend Sam Njuba. At the funeral, Dr Besigye and FDC leaders planted trees in memory of Stella Njuba. Planting Legacy trees is an FDC project that replaces buying and laying of wreaths in preference of fruit trees that will bear fruits and offer shade for the bereaved family long after the deceased is gone. Sam Njuba’s heir Sam Njuba Jr, represented the family to plant the Legacy Trees. Stella Njuba, who is the former parliamentary aspirant for Kyadondo East constituency in Wakiso district, succumbed to cancer last week. She was 55 years old. 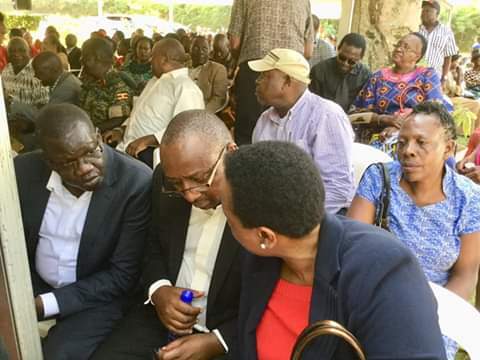 The burial was attended by among others, Kyandondo East MP Robert Kyagulanyi aka Bobi Wine, Katikkiro Charles Mayiga and FDC president Patrick Amuriat.